We have had two years of “road to Brexit” speeches. We stagger from vote to vote, from week to week. Today, we heard the Foreign Secretary make an announcement on the radio that Brexit may have to be delayed. Is that the way to run a Government—informing people outside the House before the Speaker or the House has been informed? I do not know whether to thank the Leader of the House for this last-minute change of plan. There is a way of doing this, particularly through the usual channels. Is this the business—staggering from one week to the next? I cannot possibly imagine what hon. Members are going through with this announcement. The shadow Secretary of State for Education has asked me to raise this—she heard on the media that it is possible that the recess may be cancelled. What provision will be given to hon. Members for their children? It cannot be right that hon. Members have to support their children in that way without the Government stepping in and providing proper provision for it. The House has a lot of business to get through before exit day on 29 March. Other than the withdrawal agreement, six other essential Bills need to be got through: the Trade Bill, the Immigration and Social Security Co-ordination (EU Withdrawal) Bill, the Financial Services (Implementation of Legislation) Bill, the Agriculture Bill, the Fisheries Bill and the Healthcare (International Arrangements) Bill. Will the Leader of the House confirm that there will be substantial debates during those two weeks rather than general debates, which we are seeing next week? I want to thank the Government for one thing: for working constructively through the usual channels to ensure that the REACH regulations, which I raised last week, will be debated on the Floor of the House. Could the Leader of the House do this again through the usual channels? We prayed against the Securitisation Regulations 2018. Securitisation is really important. It is the pooling of different kinds of loans and debts wrapped up in a financial package. I am sure the Leader of the House knows how important it is, because it was widely regarded as one of the reasons for the financial crash. Not only does that piece of secondary legislation amend primary legislation—which is anathema to constitutional lawyers—but it affects criminal offences already on the statute book and transfers significant powers to the Financial Conduct Authority. The statutory instrument does not quite make it clear whether the FCA will get additional responsibilities, what they will be and whether it will get additional resources for supervision or compliance. 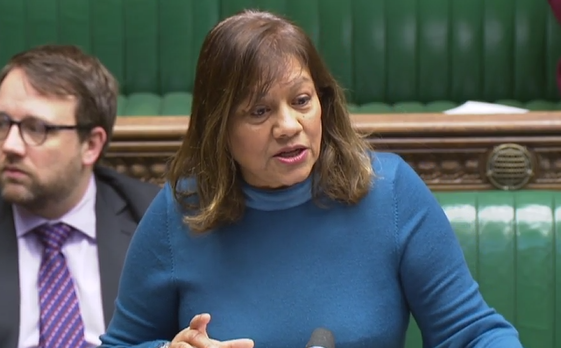 The Leader of the House said in business questions on 17 January that she remained confident that all statutory instruments that needed to be brought forward would be in time for exit day. She will know that 600 SI are still to be tabled. Last week, 21 were laid, which was seven short of the Government’s average weekly target. On a scale of one to 10, how confident is she that the SIs will be properly debated by 29 March, given that multiple SIs are sometimes wrapped up in one package? We have had two years of “road to Brexit” speeches. We stagger from vote to vote, from week to week. Today, we heard the Foreign Secretary make an announcement on the radio that Brexit may have to be delayed. Is that the way to run a Government—informing people outside the House before you have been informed, Mr Speaker, or before the House has been informed? The Prime Minister said she wants no running commentary, yet now she wants to meet everyone. I am pleased to say that she met the Leader of the Opposition and the Opposition Chief Whip yesterday. First, we are told that it is the only deal in town, and now there is a renegotiation. The Government voted for their deal, and on Tuesday they voted against it. The Prime Minister has said that “nothing has changed.” She is right, because the EU has said that nothing will change. Yet the Government are looking for “alternative arrangements”, so could the Leader of the House give us a clue on what exactly these alternative arrangements might mean? That is important because the shadow Secretary of State for Health has said that there are shortages of epipens, Epilim, aspirin and naproxen. These are all matters of life and death, so can we have a debate on the NHS 10-year-plan? Mr Peter Bone: Sneaked out? Valerie Vaz: Yes, it was—in a written statement. [Interruption.] The Secretary of State should have announced it in the House. The shadow Secretary of State for Housing, Communities and Local Government has called it a “shoddy deal”. Councils need significantly more than a 2.8% rise, and the Local Government Association has said that councils still face a funding gap of more than £3 billion a year. We have had no information on business rates retention, on new funding for social care or on the Green Paper on adult social care. Will the Leader say when that will be published? We need a debate on why councils are investing in commercial property. Tesco Extra has been bought for £38.8 million by East Hampshire District Council. Branches of Waitrose and Travelodge have been acquired by Runnymede Borough Council for £21.7 million. Ian Hayes from Runnymede has told me that Runnymede Borough Council had to request an increase in the council’s authorised borrowing limit to facilitate earlier purchase of property acquisitions. [Interruption.] As the hon. Member for Aldridge-Brownhills (Wendy Morton), who interrupts me from a sedentary position, will know, a B&Q store is now owned by Dover District Council. These are purchases of commercial property outside the local authorities. I agreed with the Leader of the House when she said that it was an interesting and very important day on Tuesday. Anyone looking in Hansard will have seen the name of my hon. Friend the Member for Hampstead and Kilburn (Tulip Siddiq). She was able to cast her vote by proxy—it was done by my hon. Friend the excellent Member for Lewisham, Deptford (Vicky Foxcroft)—so we know it works. I am just a bit saddened by the fact that the amendment was not referred to the Procedure Committee, rather than agreed by the Government. I hope that the Government will in future refer things to the Procedure Committee so it can look at them again. The constituent of my hon. Friend the Member for Hampstead and Kilburn, Nazanin Zaghari-Ratcliffe, who works for Thomson Reuters, is still separated from Gabriella and Richard—it is over 1,000 days. The Government must act now to free her.